For the past few weeks, the Madhouse on Madison has spilled over into the streets of Chicago in a flood of Blackhawks pride. With each game won en route to the Stanley Cup, the city’s collective pride grew. Red and black was everywhere in the city, from signs and posters to t-shirts and flags. Even the lions at the Art Institute dressed up! Needless to say, Chicago is a city of pride, especially when one of our beloved sports teams takes us all the way to sweet victory and brings the Stanley Cup home. 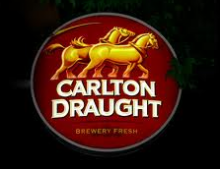 And in all the ways the city showed its support during the Cup celebration on June 29, one really special way I noticed the Blackhawks getting recognition was through advertising. 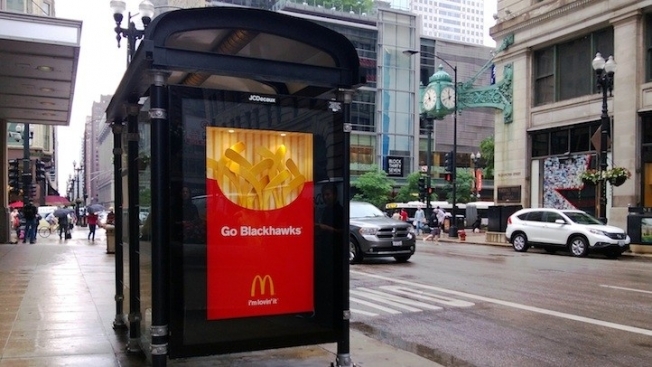 A McDonald’s bus shelter ad had copy that was simple, yet hit home: “Go Blackhawks” with an image of McDonald’s fries in the shape of hockey sticks. All in all, a very nice way to tie a local event to a product. One more cool fact about this mini campaign: McDonald’s will be donating hockey sticks to local youth hockey organizations.